Is it something to be regarded as a work of beauty or art? Is it clever slogans or amusing prose? Is it workmanship to be judged for an award or recognition? The selling is accomplished by persuasion with the written word, much like a television commercial sells (if done properly) by persuading with visuals and audio. To properly understand advertising or to learn even its rudiments one must start with the right conception. Advertising is salesmanship. Its principles are the principles of salesmanship. Successes and failures in both lines are due to like causes. Thus every advertising question should be answered by the salesman's standards. Let us emphasize that point. The only purpose of advertising is to make sales. It is profitable or unprofitable according to its actual sales. A salesman's mistake may cost little. An advertisers mistake may cost a thousand times that much. Be more cautious, more exacting, therefore. A mediocre salesman may affect a small part of your trade. Mediocre advertising affects all of your trade. These points are as true today as they were when they were written nearly one hundred years ago! So the goal then becomes: how can we make our advertising as effective as possible. The answer is to test. Test again. And then test some more. If ad A receives a two percent response rate, and ad B receives three percent, then we can deduce that ad B will continue to outperform ad A on a larger scale. Testing takes time, however, and can be expensive if not kept in check. Therefore, its ideal to start with some proven tested known ideas and work from there. For example, if testing has shown for decades or more that targeted advertising significantly outperforms untargeted advertising (and it does), then we can start with that assumption and go from there. If we know based on test results that crafting an ad that speaks directly to an individual performs better than addressing the masses (again, it does), then it makes little sense to start testing with the assumption that it does not. This is common sense. 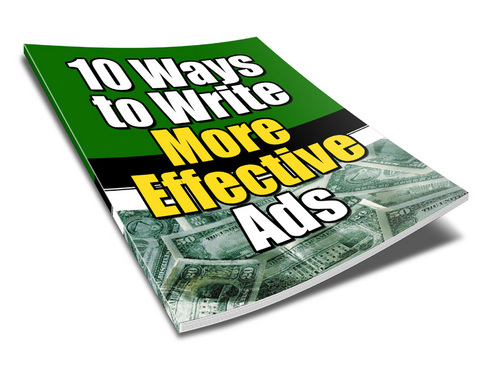 So it stands to reason that knowing some basic rules or techniques about writing effective copy is in order. Test results will always trump everything, but its better to have a starting point before you test. So this starting point is the essence of this book.